One can nothing experience better in summers but to sit in open natural green environment under the shady trees! Cool blows of winds always work great to sooth your nerves and can make inner of anyone calm down instantly! 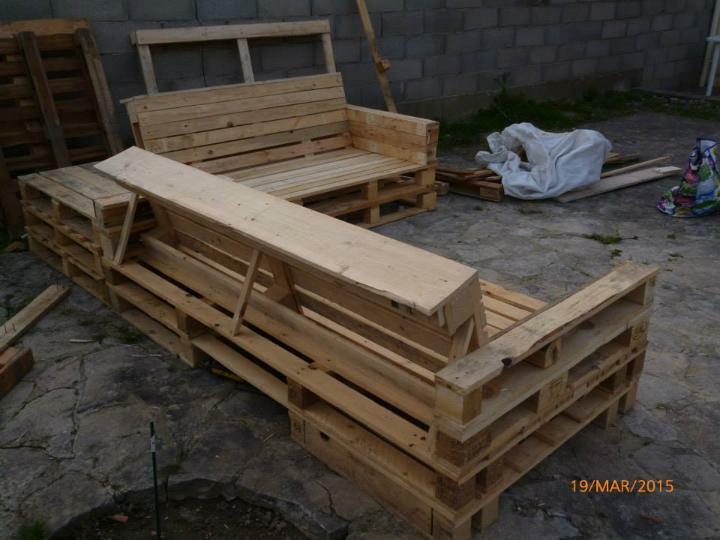 Here are some pallet wood furniture plans that can make you sit better to relish your outdoors and garden in full comfortable mood! 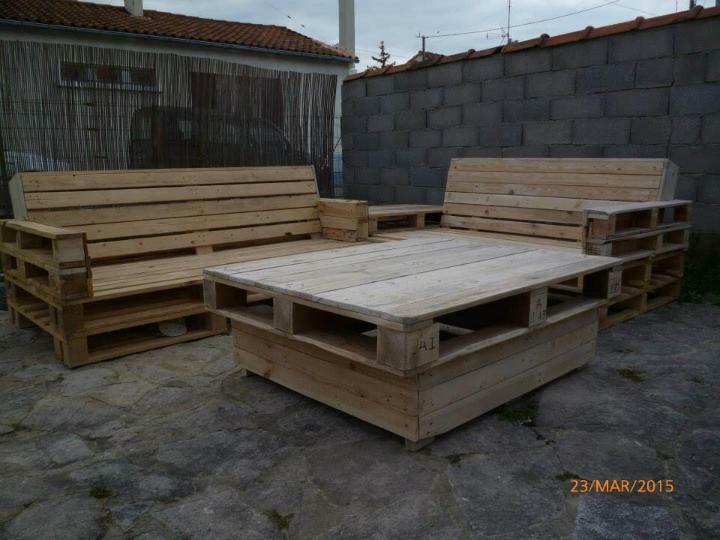 Checkout this DIY pallet sectional patio set, perfect for occasional sitting and will surely come in handy to accommodate a big rush of you family members and friends! Turn on your longer conversations by installing this sectional patio settee to your home deck, poolside and on rooftops! Just in case if you find some rustic pallets, do wash and sand them to remove the gunk layer and also the ugly supports for a brighter wood look and tone! 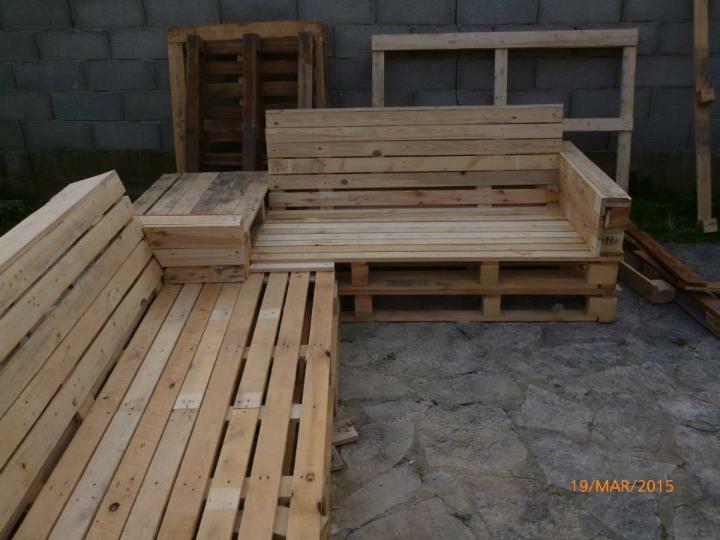 You only require to reconfigure some original pallet boards to build the comfy berth and backrest position and can prolong it to any length to suit and fit your space! Adjust the original pallet boards to get the berth portion and install some of boards vertically through an angle to provide the backrest positions of the sofa! Add cut down sizes of pallets for armrest! 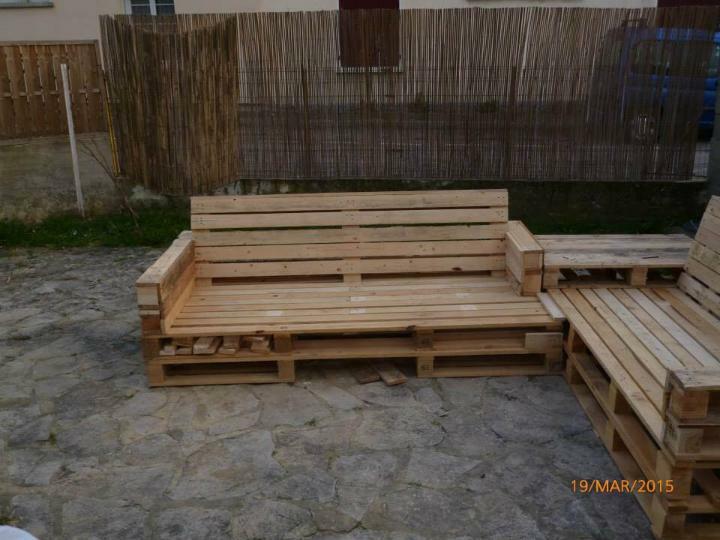 Built two whole pallet sofas and then combine them with artistry joinery techniques to get an L-shape! Latest hardware may come in handy for a lasting assemblage! Prolong the length for perfect fit to your spaces and stack more pallets to get a height level of your choice! you can also add or remove the armrests! Sectional bridge will also provide the services of side table, bonuses!! L-shape of this sofa will give the best fit to any corner space like that of your balcony, terrace, living room, garden gazebo, home deck area and also that of patio! 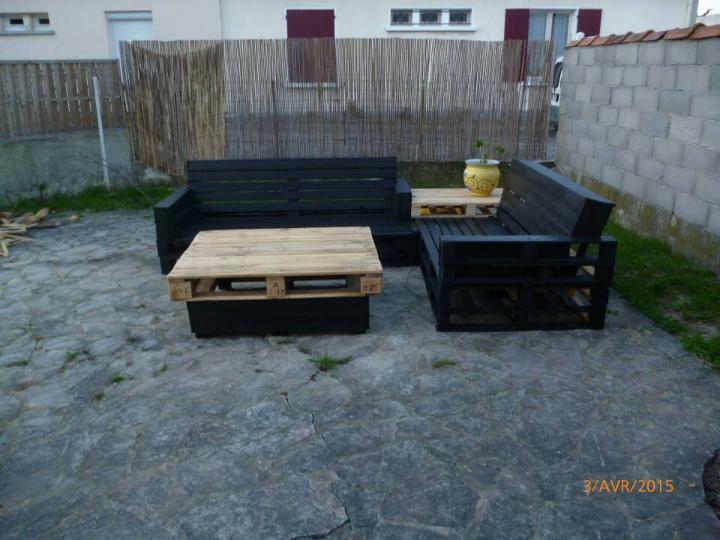 Now about the finishing of this handmade sectional patio set, first make all stained in your favorite shade, black can rock for outdoor friendly look, and provide a coffee table to get all refreshments in arm-reach! Besides this conversation starter, also add the cushion to sit back in comfortably all the daylong! Double up the fun by adding different colored pillows! There are unlimited possibilities for its to make it personalized!